Learn about Invoicely Invoice Software. Includes info on Invoicely, free trials, pricing, customer reviews, and FAQs. 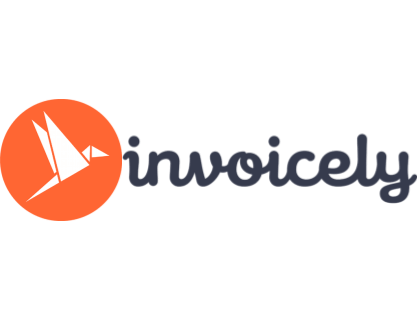 Invoicely is an invoice software that offers invoice automation, client detail management and time and expense tracking, among other features. Pros: Generates unlimited invoices in any language or currency, for free. Cons: There is no time and expense tracking in the free version. Bottomline: Invoicely produces quick and free invoices at no cost. It does all of the basics very well. What is Invoicely's price range? Invoicely pricing ranges from $0.00 to $29.99 per month. Is there an Invoicely free trial? Invoicely offers a free version of its software. Where can I find the Invoicely login? Go to invoicely.com and click "Log in" in the top-right corner of the home page, or sign in directly here. What are some Invoicely alternatives? It's really easy to use. I've been using it for a couple of years now and rarely had problems with it. I am one of their clients with over $500,000.00 in receipts on Invoiceable and was INFURIATED at their total lack of professionalism for the switch. They didn’t give us ANY notice, a very slack late apology on Twitter after they were blasted by several. Invoicely and Bitrix24 are the best free freelancer tools ever – free invoices, free time tracking, free client management, free project managemenent, etc. Invoicely+Bitrix24 is a killer combo. There are better free invoicing alternatives like Bitrix24 and Wave Accounting. B24 gives you free time tracking, quotes and client management as well.